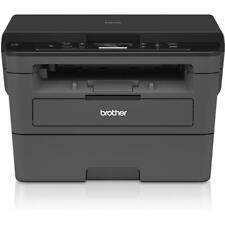 Laser Printers Brother Mono Laser USB Printer. 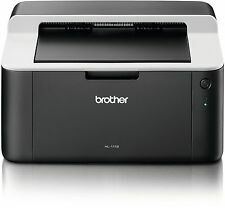 Brother Mono Laser USB Printer. Built to perform for longer. Made from robust and hard-wearing material, providing the peace of mind that your printer will keep on going. We will always go out of our way to source the product you are looking for. Parallel connection. Brother DCP-L2510D Mono Laser Multifunction Printer DCPL2510DZU1. Designed to go the distance Built to perform for longer. Made from robust and hard-wearing material, providing the peace of mind that your printer will keep on going. 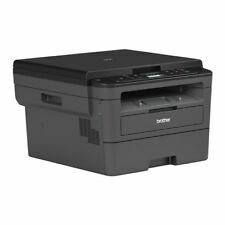 Wireless network ready A4 mono laser printer. Designed to be set-up and ready to use in minutes. The HL-L2375DW, has a fast print speed of 34 pages per minute, together with automatic 2-sided print and large 250 paper tray. Non-Faulty Goods. All goods are new unless stated otherwise. Faulty Goods. Print to your heart’s content with Brother. This wireless printer will equip you with the speed and functionality that you desire to reach your full potential. With fast speeds of up to 30 pages per minute and an automatic 2-sided printing function, this laser printer gives you everything you need and more. MPN: HL1210WZU1. Print from anywhere using the Brother iPrint&Scan app. Share with your workgroup via its built-in wireless 802.11b/g/n network interface. Non-Faulty Goods. All goods are new unless stated otherwise. Used working condition Brother HL 2460 mono laser printer. Comes as show in a picture without toner cartridges. 34ppm Mono Print Speed. Brother HL-L2375DW Mono Laser Printer. Brother HL-L2375DW Mono Laser Printer HLL2375DWZU1. Built to perform for longer. Made from robust and hard-wearing material, providing the peace of mind that your printer will keep on going. Brother HL-L6300DWT Mono Laser Printer HLL6300DWTZU1. 46ppm Mono Print Speed. Printer Type Mono Only. Printer Technology Laser. Printer Unit. Printer Connectivity USB. Printer Connectivity Network. Printer Connectivity Wireless. 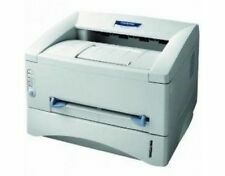 MFC-L2750DW Wireless & Network 4-in-1 Mono Laser Printer. More pages can be printed with the large inbox toner, ensuring that you're ready to go straight a way. An A-Grade machine is in "as new" condition. Brother HL-L2360DN A4 Mono Laser Printer. The Printer Broker Ltd is a supplier of printers, fusers and printer parts based in Bolton, Greater Manchester, UK. Part Number: HLL2360DNZUI. Automatic duplex printing (2-sided). USB & Ethernet connections. Print up to 26ppm. We will always go out of our way to source the product you are looking for. Include New installed Toner and Drum. Details about printer and driver are on Brother website. Include power cord. Color: Black. Collection in person. Size A4 Printer. Type Mono Laser Printer. Manufacturer Brother. Print Speed Mono 30 ppm. Images shown are for demonstration purposes. Compact Duplex & Network Ready Desktop Printer. USB, Network and Parallel A4 Mono Laser Printer. Brother HL-5250DN. Up to 28ppm Mono Print. 1 x Brother HL-5250DN (refurbished). 50 Sheet Multi-Purpose Input Tray. With print speeds of up to 26ppm, this entry-level machine is certainly no slouch. This quiet, desktop friendly device, provides fast print speeds without being loud. Brother MFC-L2730DW Mono Laser Multifunction Printer. Brother MFC-L2730DW Mono Laser All-In-One Printer MFCL2730DWZU1. Part : HL5140ZU1. Mono Laser Printer. Brother HL-5140. The Printer Broker Ltd is a supplier of printers, fusers and printer parts based in Bolton, Greater Manchester, UK. With single feed draws, there is no confusion surrounding the uses and capabilities of the unit, providing mono prints quickly and efficiently. Brother HL-1210W in More Detail. The space-saving design ensures no functionality is lost despite the compact size of the unit. Part Number : MFC7440NU1. The Printer Broker Ltd is a supplier of printers, fusers and printer parts based in Bolton, Greater Manchester, UK. Designed to be quickly set-up and fully operational within minutes, the printer is made from robust and hardwearing materials for a long lasting lifespan. Capable of full duplex printing from a 250 capacity tray or a manual feed slot that can handle a wide variety of paper types. A4 Mono Laser Printer. Item model number: HL1110ZU1. Add to Favourites. Product Details & Features. Brother HL-L6400DWT A4 Mono Laser Printer. Brother HL-L6400DWT Printer. Up to 50ppm Mono Print Speed. The box might not be the original and(or) New condition and will have tape or label marks due to tape removal and storage. Enhance Your Workplace Productivity. Brother HL-L5200DW A4 Mono Laser Printer. Brother HL-L5200DW Workgroup Mono Laser Printer WiFi. Up to 40PPM Mono Printing Speed. Printer type - Mono. Max paper size - A4. Supplied with good part used drum and toner, power lead, USB cable & 6 months RTB warranty. This is what Brother has to say: -. Up to 20cpm mono copying speed. For when you need the job done fast. Size A4 Printer. Type Mono Laser Printer. Manufacturer Brother. Print Speed Mono 30 ppm. Connection USB 2.0. You no longer need to regularly refill paper with the large 250 sheet paper tray. During that process you will be issued with an RMA number. Cost is: Each mile from NG5 1FD is £0.40. Collection in person. Starter Toner. SCRATCHES DUE TO BE KEPT IN STORAGE. Designed to be quickly set-up and fully operational within minutes, the printer is made from robust and durable materials for a long lasting lifespan. Capable of full duplex printing from a 250 capacity tray or a manual feed slot that can handle a wide variety of paper types. Part : HL5170DNZU1. Brother HL-5170DN A4 Mono Laser Printer. The Printer Broker Ltd is a supplier of printers, fusers and printer parts based in Bolton, Greater Manchester, UK. Actual Item Pictured. Model: DCP1610WZU1. MPN: DCP1610WZU1. Print from anywhere using the Brother iPrint&Scan app. Share with your workgroup via its built-in wireless 802.11b/g/n network interface. All goods are new unless stated otherwise. Print up to 16ppm (Mono). USB connection. We will always go out of our way to source the product you are looking for. Network ready A4 mono laser printer. Designed to be desktop friendly, this robust printer is a great all rounder. Designed to be set-up and ready to use in minutes, the HL-L2370DN has been built with efficiency in mind.